16 Perfect Gift Ideas for Children and Preteens. Gift ideas for children. Four year old girl gifts, seven year old girl gifts, nine year old girl gifts, and eleven year old boy gifts. Oh how I love sharing our favorites around here. Each year in October, I share some of our favorites from the past year. This post contains affiliate links. Any three or four year old would love the Saxoflute. Brinley got this last Christmas and it continues to bring her much joy. This is one of those things you may or may not want in your home, and if you have younger siblings who nap, it might not be your favorite. It is fun and educational on many levels, however! Other fun ideas for the three or four year old include books, dress up, stuffed animals, Do-A-Dots (on a related note, be sure to search Pinterest for Do-A-Dot marker activities. So fun! 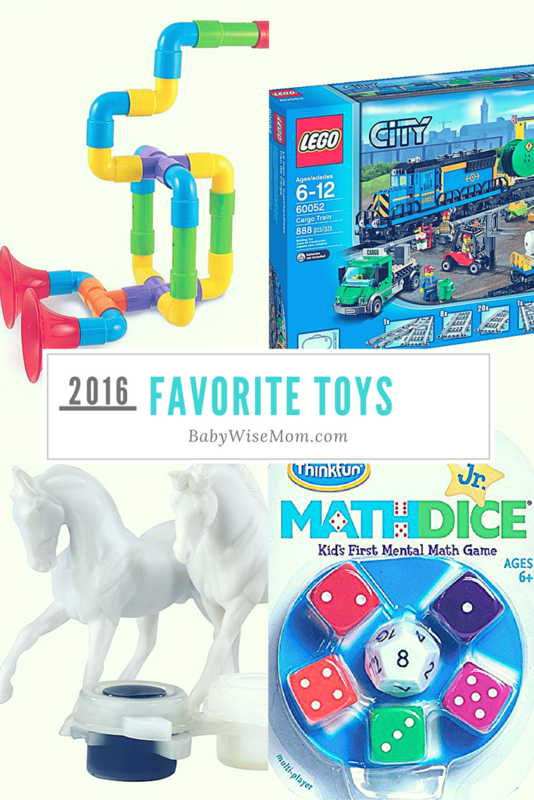 ), books, and toys from their favorite shows (Paw Patrol, Daniel Tiger’s Neighborhood…). And don’t forget about our sparkly shoes. Love. I have already shared about the gymnastics mat and beam McKenna got last Christmas. Other favorites of hers this year included a skipper, a hula hoop, fancy dress up gloves, and a fun game called Math Dice. Hands down, McKenna’s favorite subject in school is math, so this fun math game has been fun for her. A little tip on getting things like gloves, don’t just look at toy dress up options. Look at women’s options, also. They often have inexpensive versions that are still nicer than a toy dress up version. Don’t forget books! The Whatever After Series is fun for this age. Kaitlyn is very into art, so she always enjoys something artistic. Beyer has a variety of fun sets of animal painting. Kaitlyn loves horses, so we got her a horse one. She also loves stuffed animals (especially Beanie Boos), Lego Friends sets, plain paper, and her nail art set. Books are always a go-to, also. For Brayden, it is all about the LEGOs. That is all he wanted for Christmas last year and all he got. For his birthday, we went another direction and got him a kayak. That was a huge hit this summer! Don’t forget the book!